We are a family owned and operated business in Pensacola, Florida. We love taking ugly concrete and transforming it into something our clients can be proud of! 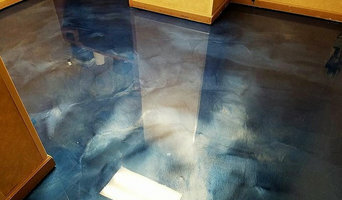 We are exceptionally skilled at the concrete wood and epoxy applications. We provide high quality construction services from small repair and paint jobs to large renovations, remodels, and restoration projects. If you can dream it, our team can make it happen from laying the foundation to nailing the last shingle on the roof. I have spent more than 20 years working in the construction industry, during which I worked for 10 years as a licensed adjuster. I have handled claims ranging from small water pipe breaks to total losses due to hurricane and tornado catastrophes. I know insurance policies backwards and forwards and enjoy helping clients get the most from their losses as possible, with as little out-of-pocket expense as necessary. Our numerous resources and professionals in the building industry can get you pointed in the right direction. For over thirty years Happy Home Insulation has installed High efficiency insulations – Cellulose Insulation, Foam Insulation, and high-tech Foil Insulation in the Mobile, Alabama area. 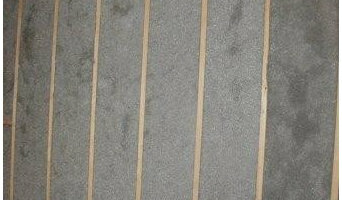 Insulation is an area of your home that isn’t visible, but the results are extremely noticeable! Consumers that educate themselves about insulation have a strong tendency to use cellulose insulation, foam insulation, and foil insulations because the benefits are so much greater- at least 38% more effective than the conventional insulation (fiberglass insulation). 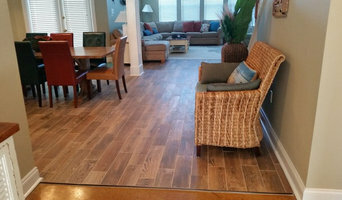 Ken Jr. Construction "LLC" is a Custom Renovation and Remodeling Company providing Pensacola, Fl and it's surrounding areas with the most "affordable quality craftsmanship." 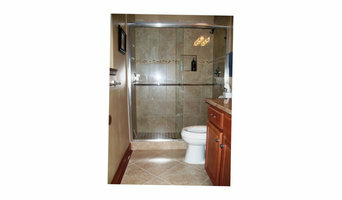 We Specialize in Glass Shower Door Enclosures with all budgets in mind. From Simple Framed Single door to the most elegant and inspiring heavy glass frameless glass shower door enclosure. We do any finish work from wood concrete drywall trim painting fiberglass you name it. If it needs finishing we do it. A leader in Custom Fabrication all along the Gulf Coast, Fabrication Specialists, Inc. has over 30 years of experience working with wood, metal, plastics, glass and custom graphics. We are considered a complete source for turn-key fabrication resources catering to specific projects laden with a variety of materials and unique designs. Our company has invested heavily in technology, equipment, software, education, and talent, allowing us to work seamlessly with architects and designers in order to provide our clients with the finest quality products and services. Force 5 Walls, Inc. is a distributor and installer of Insulated Concrete Forms (ICF), Lite-Deck Floor and Roof System, GigaCrete Products for Louisiana, Mississippi, Alabama and the Florida panhandle. Since starting the company, Force 5 Walls, Inc. has completed many projects of all types including: single family homes, multi floor condominiums, commercial and institutional structures. We have extensive experience with numerous ICF manufactures including Amvic, Fox Blocks, Quad Lock, Build Block, Lite Form, and Green Block. Force 5 Walls, Inc.’s high quality workmanship and excellence in customer service has earned the company the reputation of being the foremost authority in concrete applications in the Southern United States. In addition, Force 5 Walls is a well known consultant to others in the construction industry. Force 5 Walls, Inc. offers assistance from design to completion so as to maximize the benefits of building your home or commercial project with our wall or floor systems. We address any questions with the homebuilder, general contractor or applicable subcontractors in pre-planning sessions, as well as timely responses throughout the project. We offer apprentice installation programs or contractor training as well. Our mission is to provide quality products together with professional and timely installation resulting in both a successful ICF project and a satisfied customer. Offering tractor services that you can depend on the Mobil and surrounding areas. Whether you’re looking for a team of Daphne, AL professionals or a handyman for a small renovation, you’ll find dozens of professional profiles and contact information for specialty contractors here on Houzz. Here are some related professionals and vendors to complement the work of specialty contractors: General Contractors, Landscape Contractors, Architects & Building Designers, Interior Designers & Decorators, Kitchen & Bath Designers. Let’s say you want to install custom wood flooring in your dining room, and you’ve found a Daphne, AL company with excellent reviews. Next you’ll want to contact the company and make some inquiries. Find specialty contractors on Houzz. Look in the Professionals section of our website under Daphne, AL specialty contractors, then select the nearest metro area for a contractor. 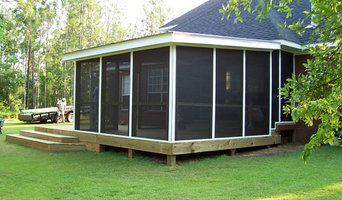 You can also look through Alabama photos of completed projects to see how a contractor might approach design challenges.